When: Monday, Aug. 4, 6 p.m.
Why: Because the new guard of DC mixologist's has reinvented the Rickey, a cocktail born in the late 1800s at Shoomaker's Bar on E Street NW and named for lobbyist "Colonel Joe" Rickey. Details: Admission is free and rickeys will be sold at a cash bar. Eight mixologists — Adam Bernbach (Bar Pilar), Gina Chersevani (EatBar), Justin Guthrie (Central), Chantal Tseng (Tabard Inn), Kat Bangs (Tabard Inn), Owen Thomson (Bourbon), Dan Searing (Looking Glass Lounge) and Kevin Rogers (Urbana) — added their own touches to the classic recipe and the guild sponsored a vote during July. The Rickey recipe that receives the most votes will be revealed Monday, along with a judges award decided at Bourbon by a panel of special guest judges. 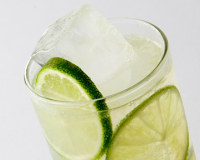 We make our own Rickeys and they are perfect for this time of year!